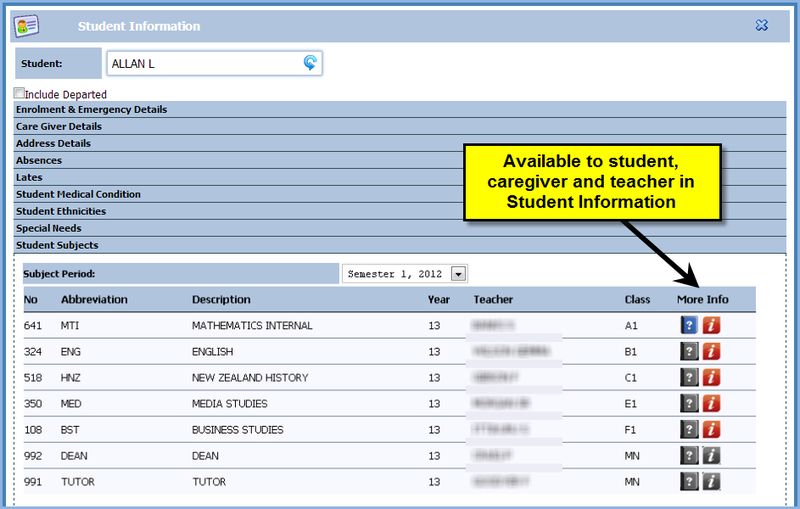 PCSchool has now enhanced the ability for students, caregivers and teachers to view Subject Information throughout the Spider. 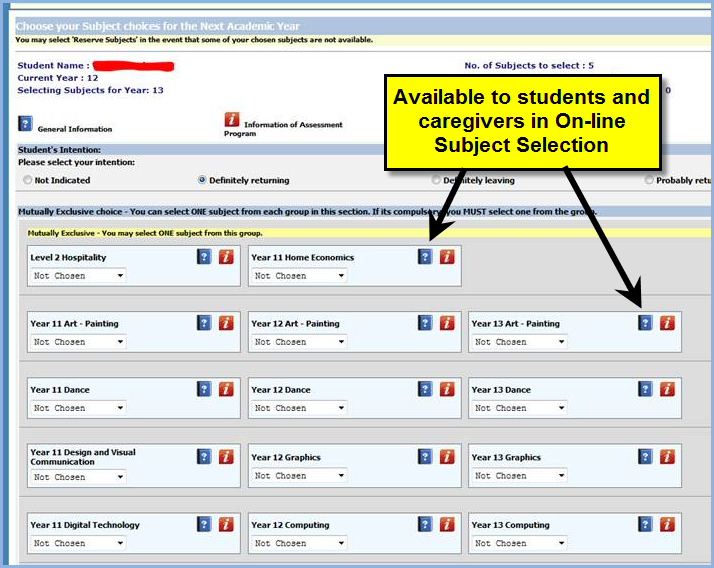 Previously information added to to subjects via the Subject and Assessment Criteria control was only made available to students / caregivers when selecting subjects via the On-Line Student Subject Selection, now this information will show against the subject where-ever it may be displayed within the Spider. This entry was posted in Assessment, Curriculum, Spider, Subjects and tagged assessment, Classroom Management, curriculum, pcschool, school administration software, School Administration System, School Management Software, School Management System, school software, Student Information System, student management Software, Student Management System, Subject Information, web spider by studentmanagementsoftware. Bookmark the permalink.